Branding package for a non-profit organization. 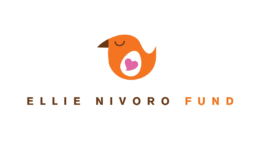 The Ellie Nivoro Fund at Nicklaus Children’s Hospital (formerly named Miami Children’s Hospital) was founded by Felicia and Yefim Nivoro to honor their daughter, Ellie Sophia Nivoro, who passed away October 25, 2009. The fund is a way to continue Ellie’s important legacy through helping other children, families and giving back to the hospital which took amazing care of her.